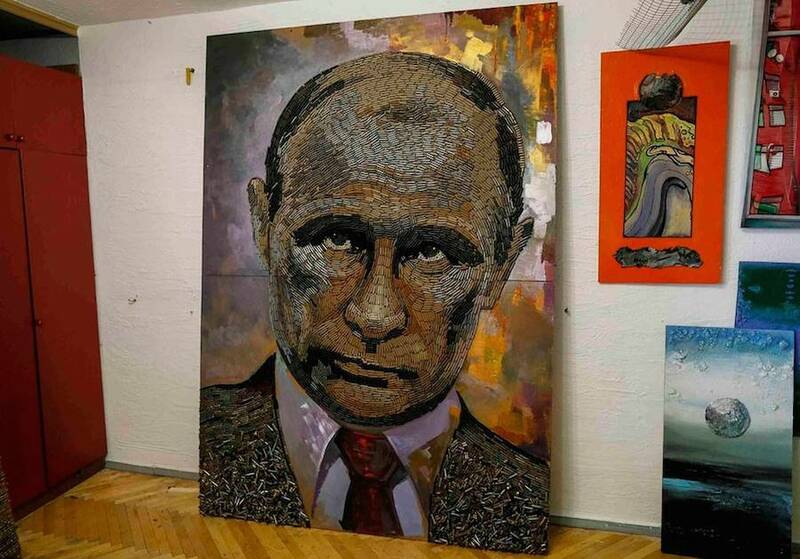 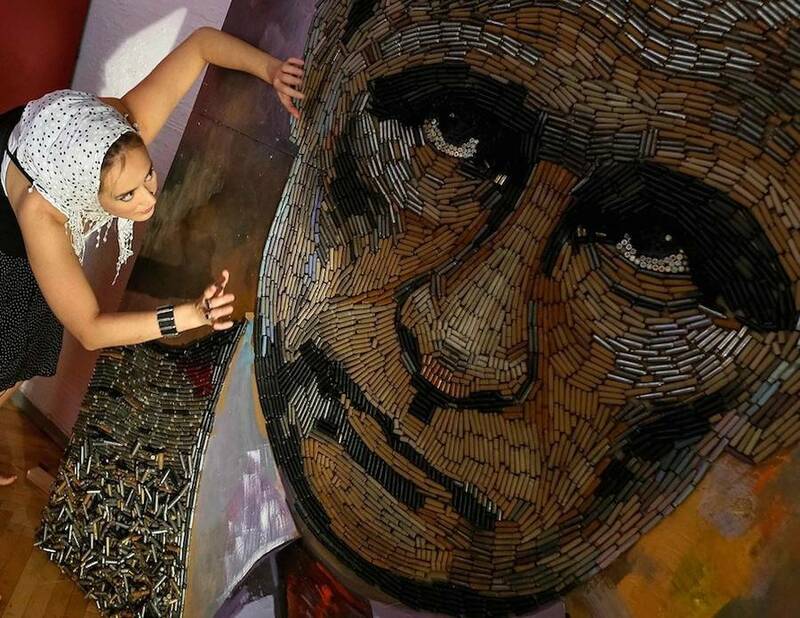 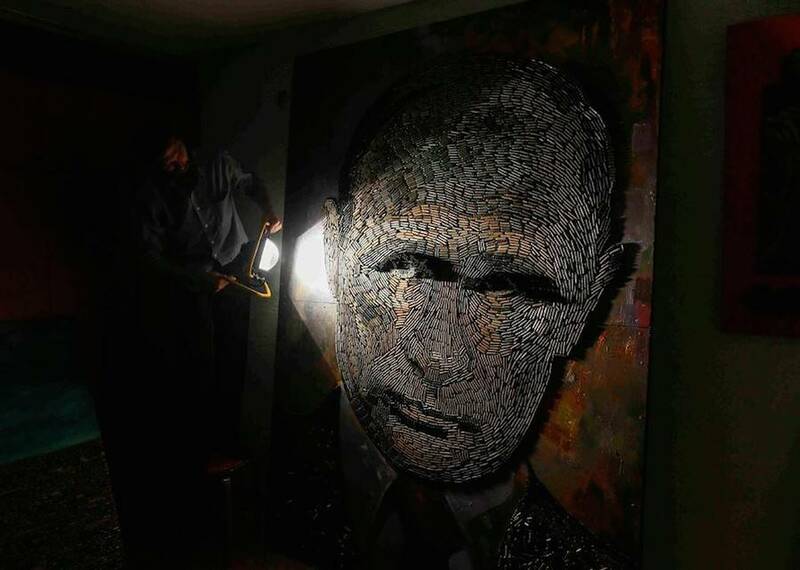 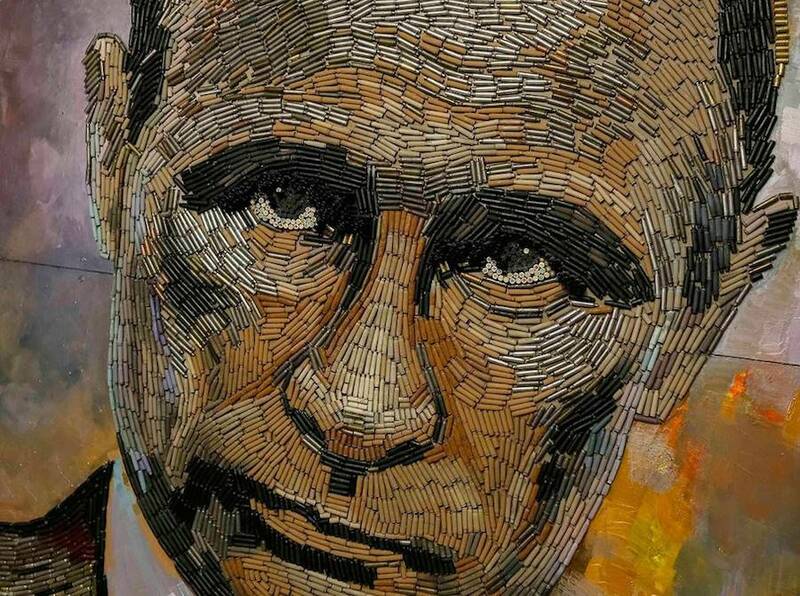 Through a canvas called The Face of War, Ukrainian artist Dariya Marchenko wanted to show Russian president Vladimir Putin with a face made of 5000 bullet cases found during the conflict between the Ukrainian army and the pro-Russians. 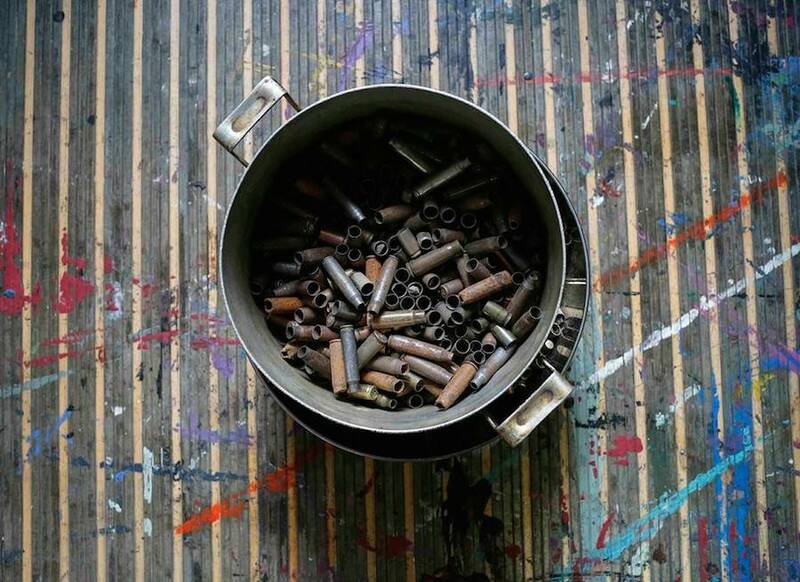 In 4 months, this artist collected all these kalachnikov bullets with the help of volunteers that targeted their researches on the Donetsk airport and the region of Donbass. 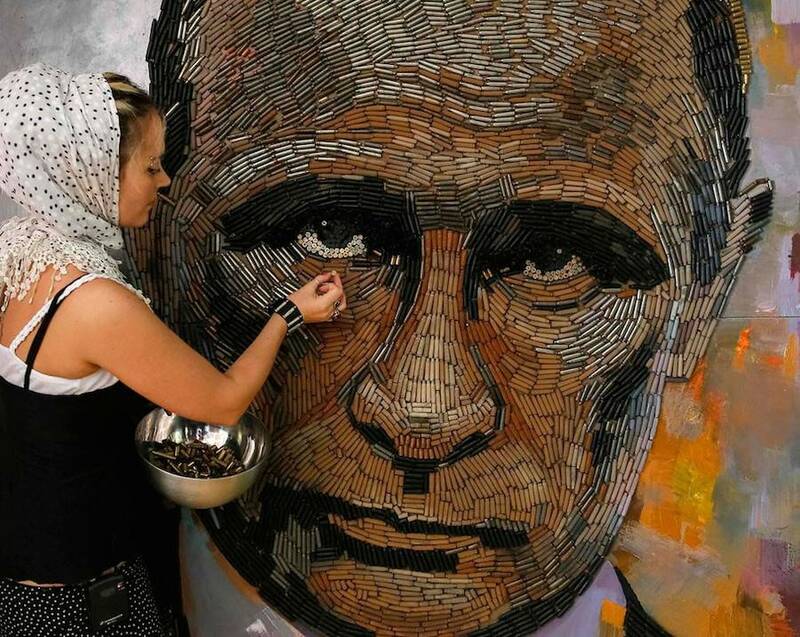 She also wants to publish a book about these volunteers who participated in her project and their lives troubled by war.